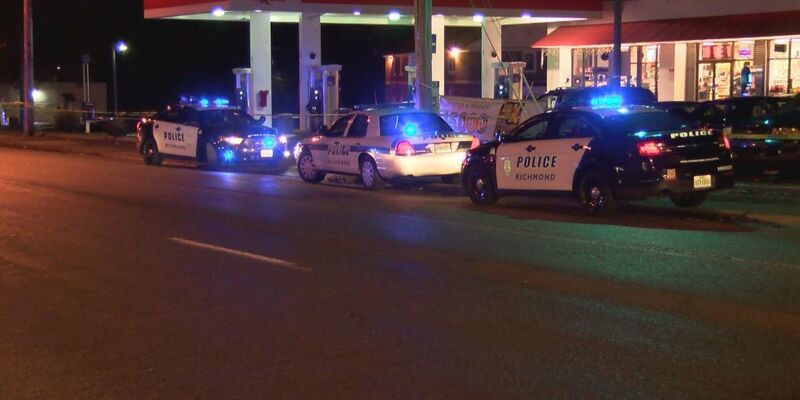 RICHMOND, VA (WWBT) - A woman is dead following a shooting at a South Richmond gas station. Detectives say at approximately 5:09 p.m. Saturday, officers were called to the Exxon Station at 1601 Jahnke Road by several callers who reported seeing shots being fired at a young woman during a dispute. They located the victim, a 19 year old white female lying in the parking lot, suffering from a gunshot wound. She was transported to Chippenham Hospital where she died early Sunday morning. The suspect is described as a thin, young, dark-skinned black male wearing a white tee-shirt. He fled the scene in a dark-colored vehicle. "Horrible. It's sad," said Richmond resident Betina Johnson. " It's always some crime going on in Richmond." "I'm concerned about the community," said Richmond Police Chief Alfred Durham. "This is my police department. This is my community, and it's important for me to be out here." Chief Durham says investigators are following several leads, but they need your help. "I was told that there were several witnesses out here," said Chief Durham. "We are interviewing witnesses. We are early into this investigation, but any help that the public can give us...we need it." Chief Durham says they are looking for two suspects. Call crime stoppers at 804-780-1000. You can remain anonymous.